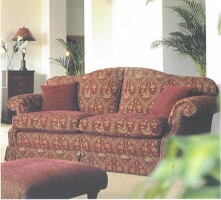 As full members of the 'Assoscaition of Master Upholsterers' you can be assured of a friendly and professional service. Established in 1962 our family business prides itself on our reputation for high quality work. We always endeavour to give customers all the relevant information regarding any project and guiding you through all the options available. We can completely restore any piece of furniture, modern or antique, in keeping with the character of the piece.